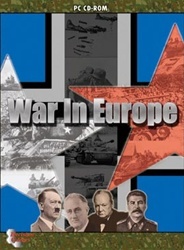 War in Europe is a computer-moderated simulation of the European Theater of Operations in World War II. There¹s no computer/AI player in the game; players make all the critical decisions. 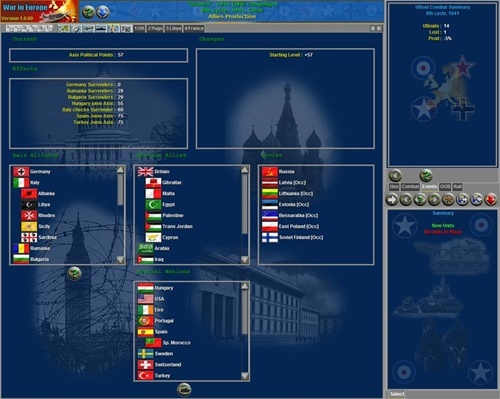 You decide on production schedules, declare war on neutral nations, and control the ground, air, sea and strategic forces of the Axis, Allied and Soviet powers in order to change or recreate the events of the war. The game is a division-level simulation, with some brigade and corps-sized ground units. Play takes place on a 159x133 hex map of Europe and North Africa. Naval power and air power are abstracted as points rather than on-map units, including: surface fleet, U-Boat, transport, amphibious assault, tactical air and strategic bomber points. Battle on three fronts‹War in the West (two-player, Allies versus Axis); War in the East (two- player, Soviets versus Axis); and War in Europe (three-player, Axis versus Allies & Soviets). 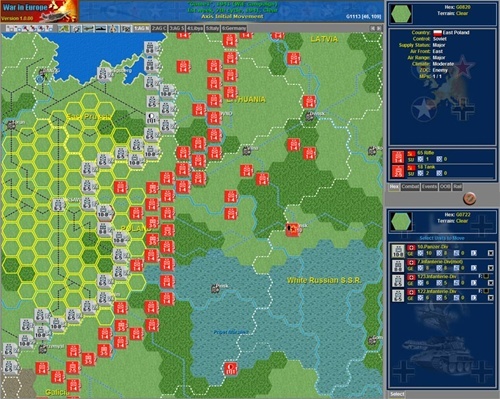 Select from 10 scenarios (shorter games focused on a single major offensive), or 16 campaigns (the whole war from a specified date through May Œ45 or the defeat of one side). 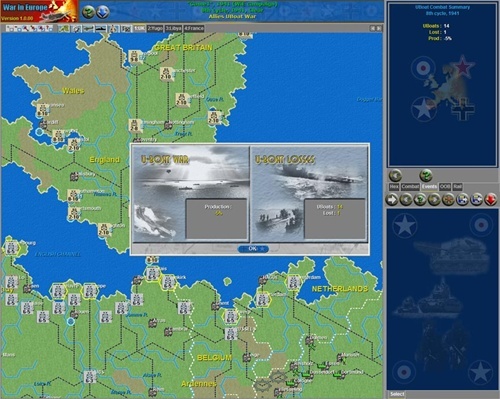 A unique "tabbed" map display allows each player to define his own set of map views, while also allowing one-click switching between areas of interest. Multiple map overlays show the supply net, territory ownership, air range, and zones of control. Fully integrated PBEM mode, with autosend, inbox, browse mode and multiple file load/save tracking. Support for any screen resolution; multiple customizable map sets and customizable icons. Fully featured game editor for creation of new scenarios and campaigns; create new units, new setups, and edit the data tables used in the game.